Word about pending changes to the camping permit system at Grand Canyon National Park in Arizona have been making the Twitter rounds, and here at Compass Points, we want to make clear what’s going to happen. Are changes coming? Most definitely, this February. These changes will most impact those who enjoy the privilege of walking up to park offices, applying for a camping permit and finding out that day whether they can start planning for a trip four months away, i.e. guides and residents who live close to the Grand Canyon. They have an advantage over backpackers who apply by fax or old fashion mail because those can take weeks to sort through and approve or deny. Coming soon? A more equitable system for everyone, even if it raises the ire of local guide companies. 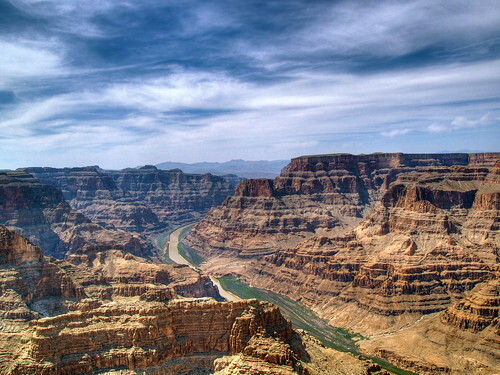 Backcountry camping in Grand Canyon National Park will still require a permit. Starting Feb. 1, 2010, the park system will “only accept written” requests via mail, fax or in person. Request must be made four months out, so if you want to camp on May 1, put your request in January 1. This means after Feb. 1, no longer will you be able to apply for a backcountry camping permit in person without a written request. You will be able to apply for a permit in person, but your request must be in writing and will go into the pile of other written requests received that day. All requests received by 5 p.m. daily will be put in random order by a computer and considered for approval in that new order. NPS is moving toward an online registration system for camping permits, but it has not yet implemented this change. No word on when that online system will start. Basically, the NPS is leveling the playing field since the current system favors those who show up in person. Some of the 26 outfitters who take customers on backpacking trips in the canyon say the proposal will cost people their jobs. If they can’t guarantee faraway customers choice destinations in advance, they’ll lose business, they say. Wayne Ranney, who guides some trips commercially and backpacks the canyon in his free time, said he thought locals should have the best chance of hiking the canyon. “To think of somebody from Cape Town, South Africa, having just as equal a chance as someone from Arizona or the United States — I know it sounds weird, but I don’t think that’s fair,” he said. I hear their concerns, and if this was an Arizona state park, they may have a legal leg upon which to stand. But there’s a counterpoint with equal validity. The Grand Canyon is a national park, and as a citizen of the United States and am ambitious backpacker, I’d like to apply one day for a backcountry camping permit. And if my status as a U.S. citizen is equal to a guide company CEO in Arizona, we should have equal consideration under the law. Your thoughts? Add ’em to the comments section. I would love to hear from both sides.